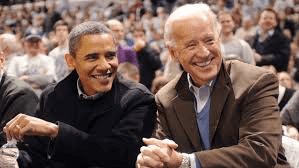 The media has been touting the small donor numbers thing for each Democratic candidate running for President this time…..
Joe Biden is the last guy to jump in and is uncertain of what he would get from the small donor group…. He’s doing things the old fashion way…. Working to line up trusted big money donors that will be essential for ANY Democrat come the general election…. And is what the Republicans live on…. “If [Biden] got in, I would be leaning in that direction because, simply put, he’s best qualified, he has the stature and the experience to win the race,” said Steve Westly, the former state controller in California who raised more than half a million dollars for Obama during each of the 2008 and 2012 campaigns. “I think a lot of people will be coalescing around him.”….